I have been sent a monthly food subscription box each month for the last few months to review from Degustabox. On Wednesday I received the March box, and I have to say that this month's box was probably my favourite one so far. So here is a look at what was inside. Once again the box was well packaged and was full of goodies which arrived in perfect condition. 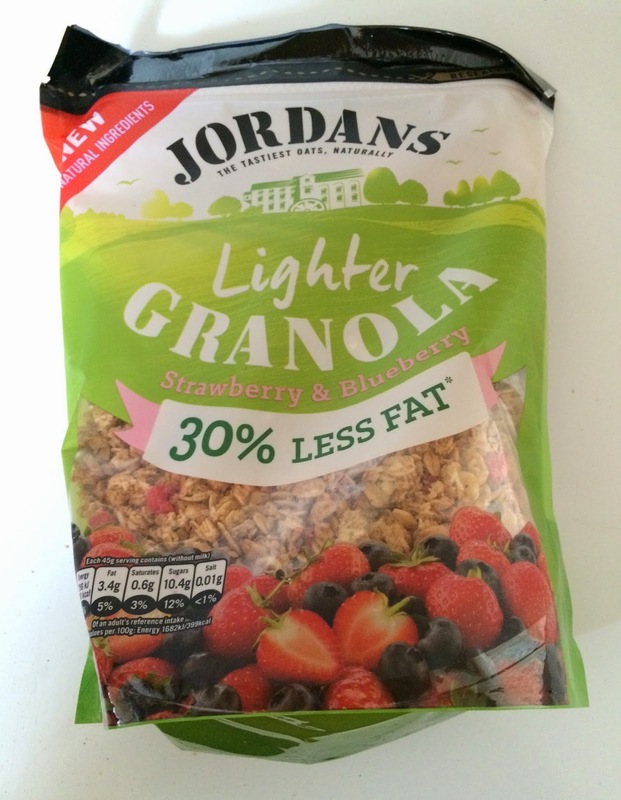 One Packet of Jordan's Granola RRP £3.69. This is a lighter version of normal granola with 40 % less fat in, so perfect for me as I need to diet. It is so yummy and does not taste like a lighter version either. It is so Moorish and is packed full of strawberry's and blueberries which are full of flavour. This is my new favourite cereal as it is so good. Two bottle's of Juice burst juice RRP £1.25 each so £2.50 in total. These are scrummy we were sent the mango and lime skinny flavour and the cranberry one and they were so tasty and full of juice and nice and refreshing. One bottle of BBQUE sauce RRP £3.99. This is an original Bavarian barbecue sauce which is available in four flavours, we were sent the original one and this is perfect to use as a marinade, on barbecues or as a dipping sauce. We are planning on using this as a marinade on some ribs, but I have tried it as a dipping sauce and it is so good, the nicest barbecue sauce I have ever tried without a doubt. 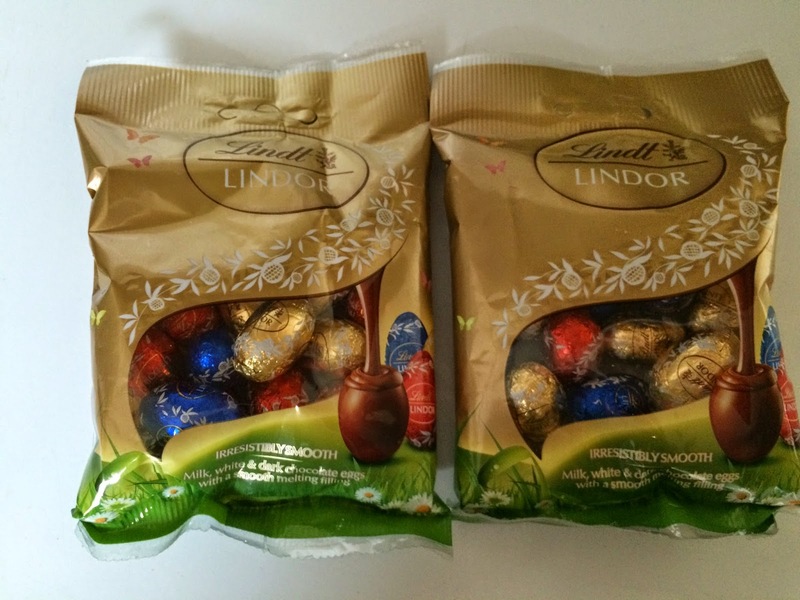 Two packets of Lindor mini eggs RRP £2.00 each so £4.00 in total. I love how these were included for Easter and as everyone knows Lindor is the nicest chocolate ever. These went straight away in our household as they are just so delicious and we all love them. We normally just buy the milk chocolate Lindor but these bags also had dark and white chocolate eggs in too and the white chocolate ones are like a little bit of heaven they are divine. One packet of Bassetts Jelly Babies Berry Mix RRP £1.48. Bassetts Jelly Babies need no introduction as everyone knows what they are, these were a mixed berry flavour pack which was strawberry, raspberry and blackcurrant in a big sharing bag. My daughters were very happy when they saw these and have demolished the lot. One packet of Sour Patch Kids RRP £1.00. You have probably seen these in the shop's before as I know my oldest loves these. They are jelly's that are really sour when you first eat them but then they turn sweet. Of course, I had to try them for research purposes and they are probably the sourest jellies I have tasted but very yummy. 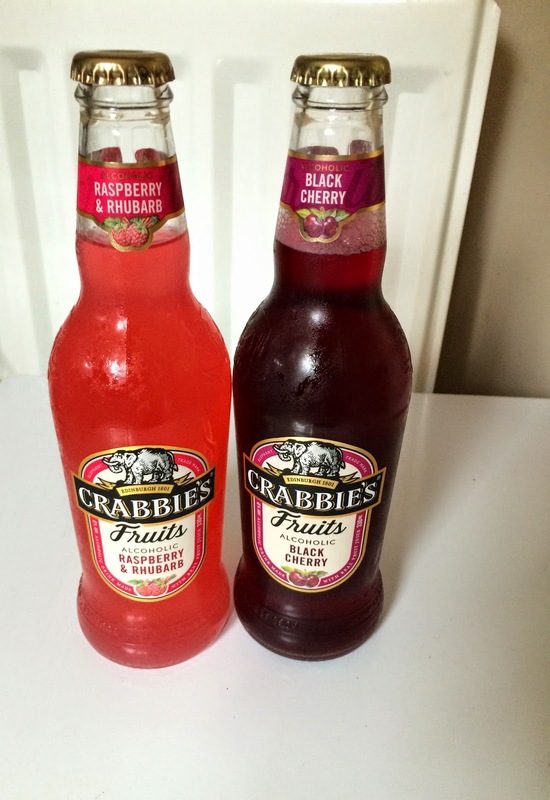 Two bottles of Crabbie's Fruits RRP £1.50 each so £3.00 in total. These are alcoholic fruity drinks. We were sent the black cherry and the raspberry and rhubarb flavours, there is also a zesty lemon one too. The black cherry was really fruity and so nice they really are mouthwatering and contain 10 % natural fruit juice. My other half has been telling everyone to try them as he liked them that much. One pot of Kent's Kitchen posh noddles RRP £1.75. These are a low fat, low-calorie noddle snack that you add water too. These would be perfect for a quick lunch or snack or for taking to work like my other half did and he reported back that they tasted nice. One box of Natvia RRP £2.00. This is a product I had never heard of before it is a 100 % naturally sourced alternative to artificial sweeteners and sugar which contains zero calories. You can use it in your tea or coffee or for baking. I have not tried this yet but it sounds great for someone like me who wants to cut down on there sugar intake. Two packets of Brioche Pasquier baked bread bites RRP £0.50 each so £1.00 in total. These were 20g bags of baked french bread which were bacon flavour. They looked a bit like croutons but they were packed full of flavour and make a nice change to a bag of crisps. They also contain under 90 calories. I will defiantly be buying these again as my toddler demolished these and she is such a fussy eater. We also received one bottle of green tea and fruit juice although I am not sure on the RRP of this and have not tried it yet. So as you can see are box was full of lots of great products this month and lots of treats. My favourite items would have to be the Lindor chocolate eggs, BBQUE sauce and the Crabbies alcoholic drinks. But we loved every single item in this months box and everything has either already been eaten or will be soon. There was a lot of well-known products in this months box but there was also some products I had never even heard of such as the Natvia and BBQUE and Brioche Pasquier bites. I think that Degustabox is an amazing service as you get to try out lots of new products that you may never have heard of before. It is also amazing value as the box only costs £12.99 per month including postage and packaging fees and the contents of this month's box came to £24.41 so almost double what I would have paid for the box. I received ten different products in this months box but fourteen products in total. There was a good mix of drinks, treats and healthy products. I also love that each month you have no idea what will be in your box until it arrives so it is a nice surprise each month when you open it. Why not have a look at what I thought of the February Degustabox . * Disclosure: I received this Degustabox free of charge for the purpose of this review, however, all views are my own account of the service and products we received. What a cool little treat delivered right to your door each month. It looks like a nice variation and it would be really neat to find new stuff to love. Thanks for sharing!